Text Equip only to a monster your opponent controls. Take control of the equipped monster. 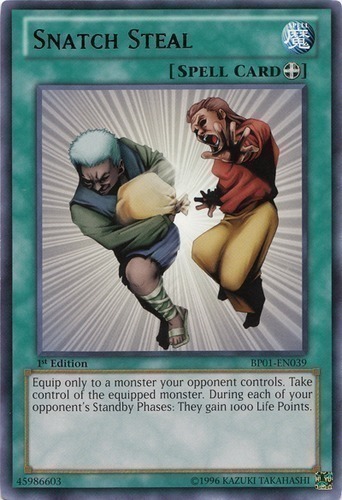 During each of your opponent's Standby Phases: They gain 1000 Life Points.